Developed for the Aston Martin DB9, the DBS style side skirts offer a lowered look, and more purposeful stance. 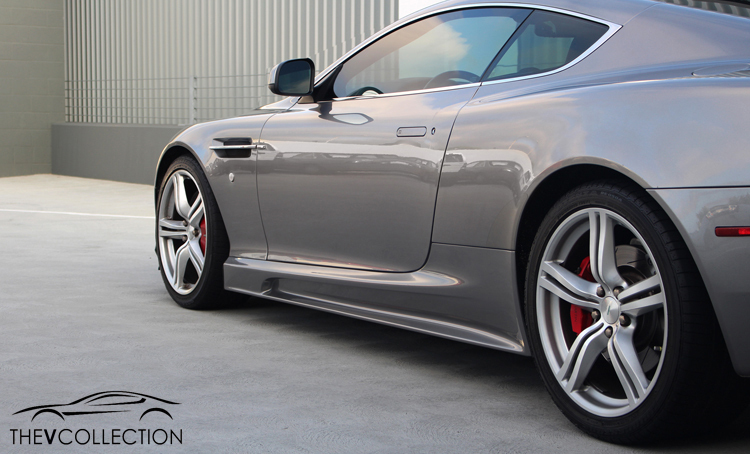 The DBS side skirts are not just a cosmetic upgrade; they are designed to enhance the cars dynamics. These upgraded side skirts improve down-force while not increasing the drag of the car. The side skirts are supplied ready to paint.